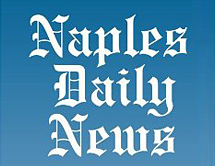 The Naples Daily News was recognized in 2004 as a recipient in the inaugural awards. As the source of news for people in western Florida, this newspaper pays careful attention to matters concerning the Gulf of Mexico. They received the Award for Journalism to recognize a 15-part series called “Deep Trouble –The Gulf in Peril” about the environmental challenges in the region.